In my previous articles on dog capabilities, and how to integrate them into a Tactical Team, we discussed their capabilities to bite and fight as well as their ability to carry equipment. Now let’s discuss their most beneficial capability to us, their sense of smell. 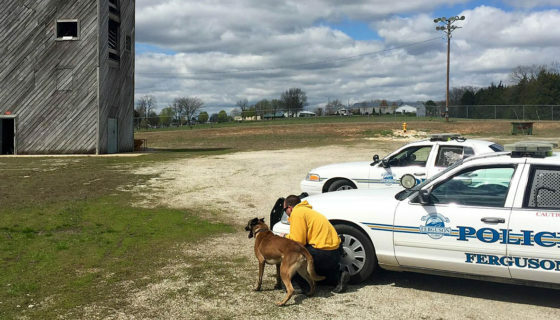 In my original article I said, “One of the greatest capabilities a dog can bring, and the primary reason they are used by law enforcement and military, is their sense of smell. Humans walk into a restaurant and smell the food (they may even distinguish the types of meals being prepared). This is not exaggeration and could even be expanded to, they can tell you which cars in the lot have gas or oil leaks, which rooms in a hotel have bed bug problems, where the fire that burned down your neighbor’s house started and what accelerant was used to start it, where the dead body of that victim is in that pond, where cancer is in a patient, and even where a woman is in her cycle. And all of this simply through their sense of smell. Opinions are like belly buttons, everyone has one. That’s kind of what it’s like with people and their theories. Everyone has a theory about something and many people have theories about everything. But theories are only useful when they are tested in practical application. For instance, it is common consensus and seems to make total sense that your scent will blow down wind; so that if it is a windy day, the dog will tend to track on the downwind side of your actual trail. However, during a tracking course at Baden K-9 several years ago, we were demonstrating scent discrimination on an open field. It was a breezy day with fairly constant winds blowing and every dog that day tracked up wind of where the tracks were. They all found what they were tracking, but the point is that dogs have access to a world that’s invisible to us. Theory is great, but when we ignore or neglect practical application and stop trusting the dog to reveal to us this invisible world, we will fail in our mission. We could make all sorts of additional theories as to why the scent was upwind that day and I am not saying that scent flows upwind, I am just saying that we simply don’t understand everything there is to know about that world. But this doesn’t mean that we can’t use the incredible senses of the dog to reveal it to us. We just have to trust that the dog has abilities that we can’t even come close to matching. When you understand and embrace this, you’ll be able to begin making real progress toward mastering tracking and scent work. Practically everything has a scent to it. You may not be able to detect scent on some things, but that doesn’t mean that your dog can’t. The key to making a dog’s sense of smell useful to the tactical operator is to communicate to the dog what scents you want him to indicate on and how. For instance, you may want a dog to sit when he detects explosive scent. You may want him to point or lay down when he detects humans on the other side of a door or hidden in the wood line. You can train these indications however you want, but keep in mind that you have to maintain these skill sets. It is also useful to be able to turn the dog on and off, in a manner of speaking, such that you do not always require them to be in full detection mode. For the Tactical Team, one of the greatest threats to their safety is an explosive booby trap. These can be produced in many ways, but all of them have one thing in common…explosives. Training a dog to indicate on explosives allows the team to move faster onto the objective, confident that they will not trip a wire or activate a pressure switch. Dogs can be trained off lead to follow verbal commands or hand and arm signals for which route to take. Upon the detection of any explosive material, the dog will indicate. This gives the team the capability to reroute to avoid the device, or disarm it. Either way, this process is many times faster than the careful “observe and feel” method, and much more reliable. Dogs can also be trained to indicate on these scents while tracking so that you don’t come unexpectedly upon a booby trap either intended to kill you or indicate that you are actually tracking. When raiding a fairly large compound with a fairly small team, you don’t have the time or resources to search everything and leave appropriate security on every location searched. This is another area where the dog can be of great assistance to the team. Using various marking devices (the red or green laser pointer being the most popular) you can train a dog to check rooms and other locations for the presence of people. This is where it is critical to train a different indication for people and explosives. If a dog checks a room and sits, DO NOT kick the door down (assuming sit is your indication for explosives), but if a dog indicates by pointing, then you know someone is in there. The only question is, are they hostile or hostages. I have not mentioned this much, but this is a time when having multiple dogs with multiple teams can be particularly useful. Depending on the mission parameters and tactical considerations, you can work three (3) or more dogs on a 12-man team. The Nazi SS K-9 Teams had up to 3 dogs per handler with the highest number I am aware of being 12 dogs with a single handler. 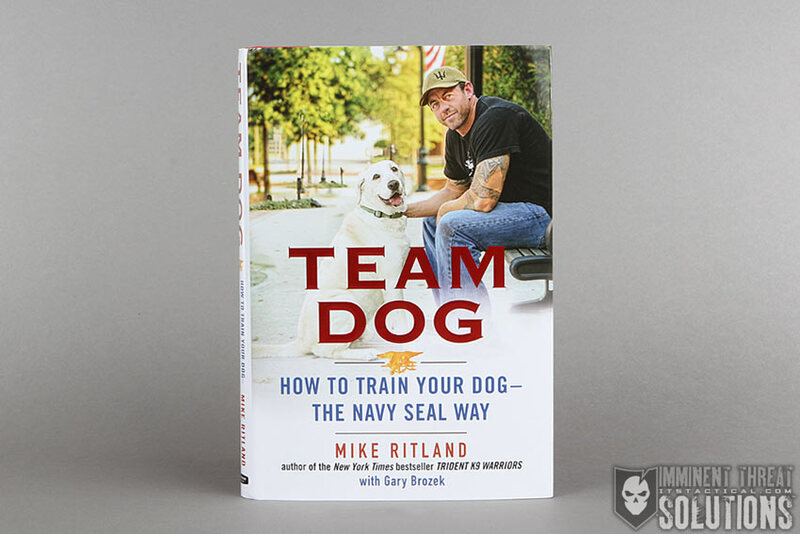 I am not suggesting that every member of a SEAL raid team should have three dogs, but if you are planning for dog integration, don’t get stuck only considering a single dog. Another application for human detection is cave searching. Dogs were used extensively in cave searches in Afghanistan. With their sense of smell they can detect things like the cave walls and small openings in caves in the complete blackness without the need to use light to see. They will also never get lost in a cave because they can back track their way out. Finally, dogs can be used for both hostile and non-hostile tracking situations. While there are schools that specialize in teaching men to track, the methods, while effective, are extremely slow and unless the person stops moving, your chances of locating them are slim. They simply move faster than you can track them in many instances. But a dog can track as fast as you can move. In fact, the handler is usually slowing the dog down from moving too quickly. Consider that dogs track their prey in the wild, and in case you have never noticed it, deer mosey much faster that we can move comfortably through the bush. Tactical Teams may find they need to conduct a non-hostile track in the event of a lost teammate or downed pilot. In an isolation event, the isolated person has specific procedures that they take to indicate that they are close, but can still move up to a kilometer away from their last indication. With a dog on a rescue team, once this initial location is found, the dog can lead to the missing person in a matter of a few minutes. Much more important in terms of team safety, however, is the hostile track with a dog. In this event the team may walk into an ambush or come unexpectedly upon the enemy they are searching for. Dogs will naturally indicate when they are getting close on hot scent. After training with a tracking dog, the handler should be able to determine when they are danger close and the team can determine to release the dog off lead or move into the objective in a way that best suits their environment and threat level. The dog’s ability to man-track is a significant tactical advantage to the team needing to locate a fleeing suspect in the shortest time possible. 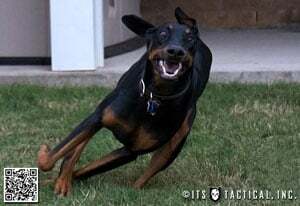 Even if the time window is not critically short, the dog allows for the focus of the Team members to be on the threat, and not on the ground. No, you do not need to be a dog whisperer to understand a dog’s communication. You simply need to understand that all animals communicate in subtle ways. Birds do not announce to the flock that they are about to make a left turn and begin descending, and yet you do not see mid air collisions within a flock of birds when they dip and dive in flight. In a similar fashion, dogs will communicate with humans. Some of this communication can be trained, such as sitting when the dog smells explosives. Other indications are natural, such as indicating on sound and the way a dog reacts when they suddenly catch hot scent just before coming on the tracked subject. It is the responsibility of the handler to know their dog. They must know how their dog responds in different environments and situations; what their dog’s indication is before biting when they were previously calm; what their dog’s indication is when they are on and off scent during a track; or even how they act when they are nervous or tired. Understanding your dog and his individual personality is critical in taking full advantage of the dog’s senses and communication to the Team. 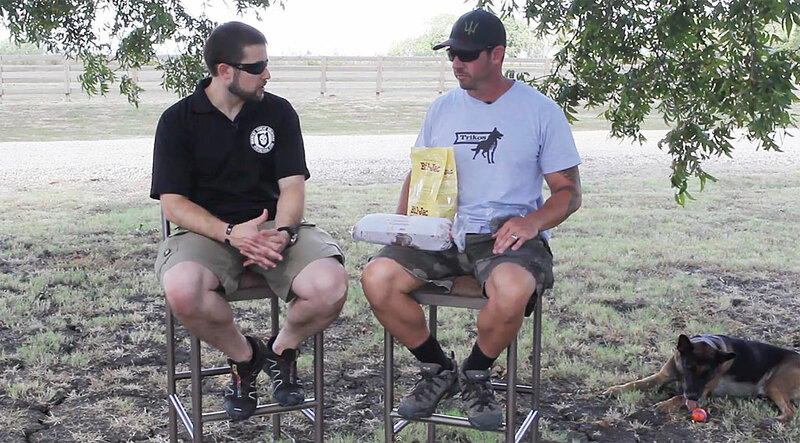 Join us next time as we discuss in more detail, the combat capabilities of a dog in the use of their sense of hearing.